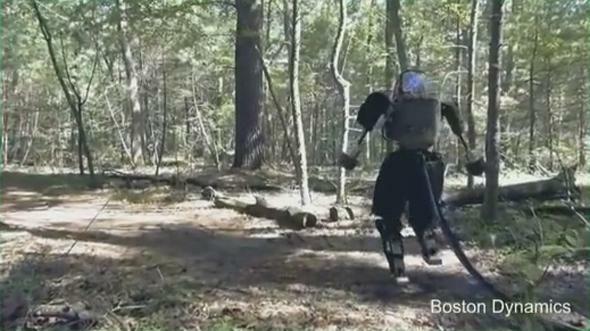 Boston Dynamics is testing the Atlas robot outside. The humanoid Atlas robot has gotten more powerful and refined over the last few years, and at MIT’s FAB 11 conference earlier this month, Boston Dynamics founder Marc Raibert talked about its adventures in “this world,” aka outside. The video might make you feel like you’re watching human progress, or perhaps it evokes memories of The Blair Witch Project, except instead of heavy breathing you hear the rhythmic sound of Atlas’ mechanized joints. But is Atlas being chased or doing the chasing?